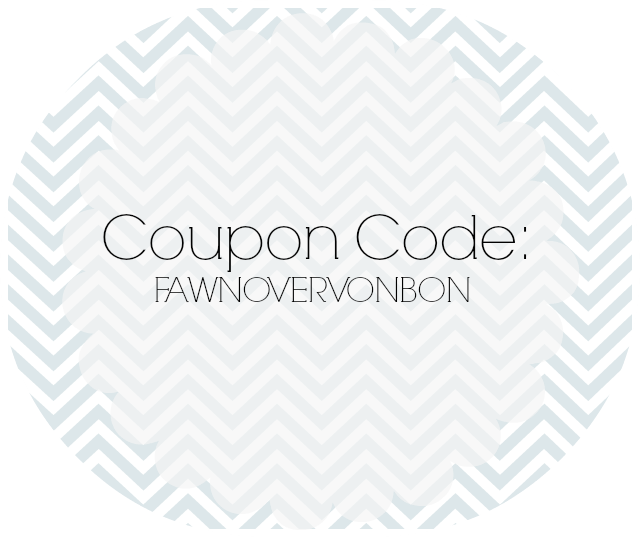 Fawn Over Baby: VonBon Apparel Review + Giveaway & Online Discount Code!! 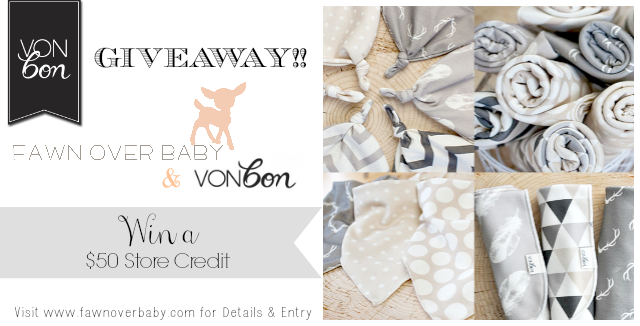 VonBon Apparel Review + Giveaway & Online Discount Code!! Hello Fawn Friends!! Ok, so I have been anxiously waiting to share this exciting review and giveaway with my lovely Fawn Over Baby readers! If you follow me on Instagram, you know that I am a huge baby fashion NUT! Well it didn't' take long for me to stumble across the most adorable baby line ever, Vonbon. If you have never heard of Vonbon, let me just tell you, you are missing out!! While there are so many wonderful baby fashion lines out there, Vonbon is in a league of their own. Based out of Canada and created by sister team, Jennifer and Kristin, Vonbon is a premium line of "handmade, organic cotton goods" that will add style and comfort to every baby's wardrobe! 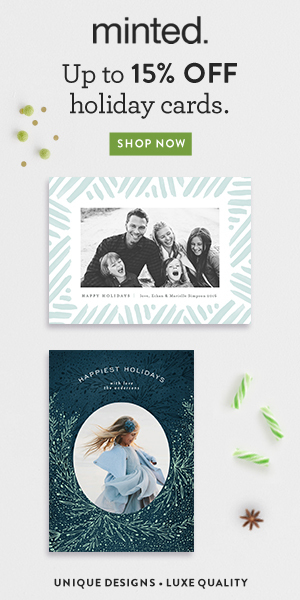 With their wonderful variety of exclusive patterns and prints, that are designed in-house by Jennifer and Kristen, you are getting an exclusive, upscale, certified organic product that you will not find anywhere else. When we received our package from Vonbon, I was so excited, yet careful to open, as I knew there were some serious prime-choice goodies in there. I slowly pulled out the nicely folded and wrapped mother and daughter cowls along with two baby headbands and a sweet handwritten note from Jen. I mean, how great of a mail day is this? Today, I wanted to show you how these gorgeous Vonbon accessories will give any casual outift an extra boost. 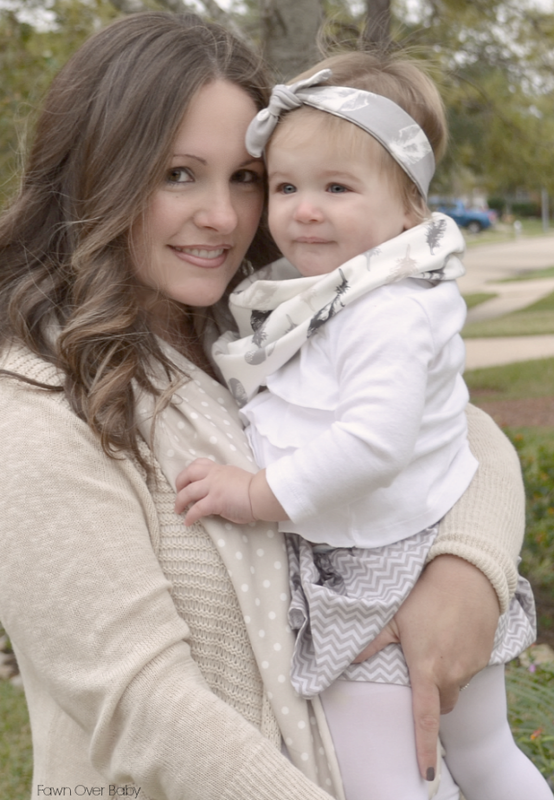 Here is McKenzie and I, getting our Vonbon on, in these adorable printed cowls. 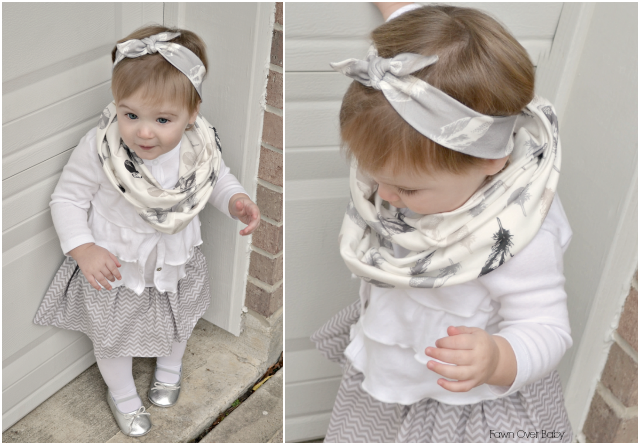 McKenzie is wearing Vonbon's Child Infinity Cowl in the beautiful Neutral Feather Design paired with their grey and white feather design headband. The fabric is so rich and soft allowing for comfortable wear against your baby's delicate skin. 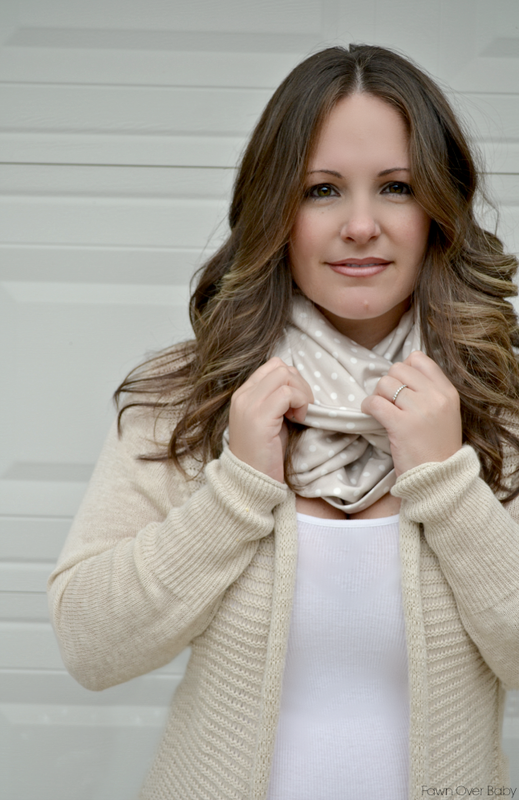 I am wearing Vonbon's Adult Infinity Cowl in the Oatmeal Polka Dot Design. Again, so soft and silky around my neck, allowing for optimum comfort and style. Here, I decided to unwrap my cowl for a longer scarf look. This style option would be so cute belted with a cardi or sweater! Ok so everyone needs to get excited about the 2 wonderful promotions that Vonbon is offering just in time for the holidays!! (1.) 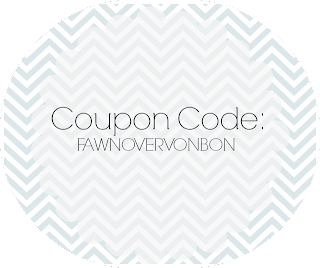 COUPON CODE: By using FAWNOVERVONBON at checkout from now until Dec 8th, you will receive a 15% Off toward your next online purchase at Vonbon.ca!! I don't know which one I'd like I just know they would make a beautiful gift!!!! Love the photos--gorgeous as always. These scarves look so comfy! The cowls are too cute! One of their amazing blankets! My baby girl will love Vonbon! I love Vonbon!!! 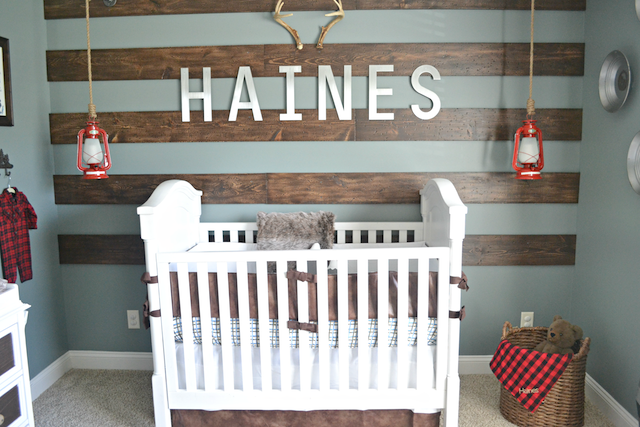 I am expecting my second child and plan to order the grey antler blanket- and maybe more!!! I love all the Vonbon products! I would be so happy to win a giftcard! I love Vonbon everything is so adorable!! My son Jaxon gets so many complements on his antler infinity cowl!! Love Vonbon's baby blankets and hats, especially the antler pattern! Love the organic baby blankets! I love the antlers and polka dots! Yay! 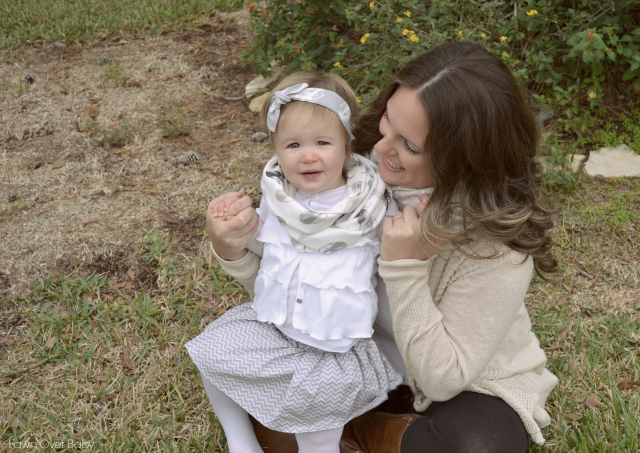 I just bought a cowl and headband for my daughter and am amazed how soft they are. 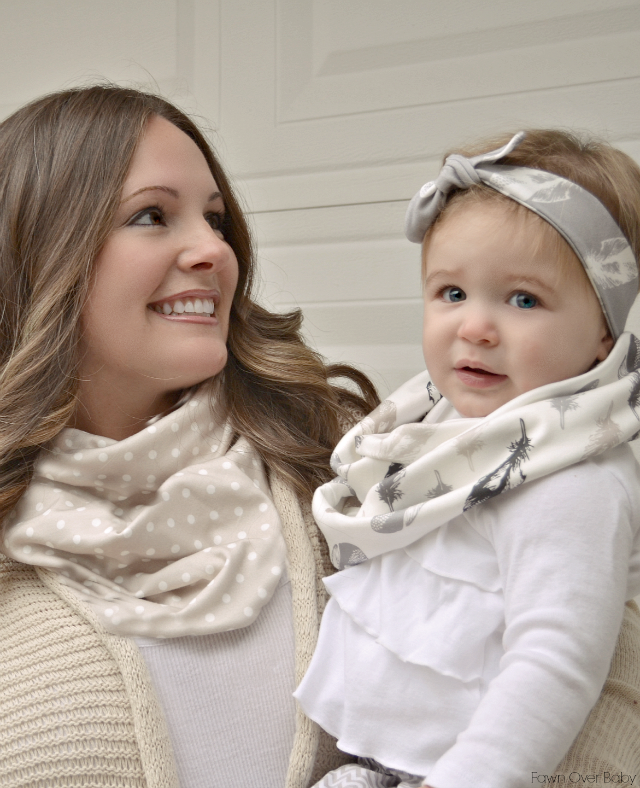 Love von bon, you two look so cute with your matching cowls! oh and I have a cowl for myself on my wishlist!! swooning over it all i love the antler hat and bandanna and i'd get the headbands for my niece. We would loooove a Vonbon blanket! They are so perfect! Thank you!!! Love all of this stuff! Thank you!